Jan Matejko is considered to be a national Polish treasure; he is also considered to be the finest representation of historicism in Polish painting and was the founder of the national school of historical painting. His paintings were mostly made up of Polish historical events and military based events. Matejko is one of the most famous Polish painters of all times, his contribution towards raising awareness and promoting Polish art is remarkable and he went on to train some of the finest next generation of artists including Jozef Mehoffer, Stanislaw Wyspianski and Jacek Malczewski. 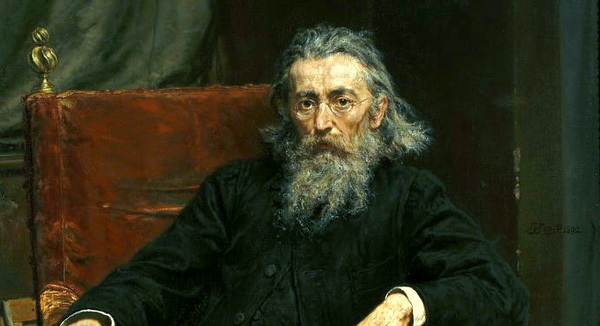 The Jan Matejko Academy of Fine Arts in Krakow, Poland is a fine homage to this extraordinary artist. Matejko remains to this day, a genuine Polish master painter. Jan Alojzy Matejko was born in 1838 in Krakow, Poland into a large family of 11. He was the ninth child of a music teacher and part time tutor. Along with his siblings Matejko was raised by his paternal aunt after the sudden death of his mother. From an earlier age onwards Matejko showed great panache for art despite not being that studious in other subjects, nut nonetheless his artistic talents were enough to get him enrolled in the prestigious School of Fine Arts in Krakow where some of his teachers included Wojciech Korneli Stattler and Władysław Łuszczkiewicz. He developed a strong connection to historical paintings and one his great works during his tenure as a student was also a historical a painting. Matejko was the first painter to raise the banner of historical paintings to such great heights that he managed to fascinate hordes of people with his works. His paintings displayed a distinct character of their own and it enabled him to show the world the high quality standard of Polish art. Matejko won many prizes during his career as an artist and his exhibitions were showcased from Paris, Vienna to Berlin. Matejko managed to rise during a time when Poland was suffering greatly due to civilian unrest and partition treaties. Matejko’s strong military paintings raised the hopes of the entire Polish nation, in many ways it reinstated their identity as a Pole. It comes as no surprise then that Matejko is included as one of the finest European painters of the 19th century. Despite maintaining Krakow as his home and main artistic hub, Matejko did travel to Munich, Venice to gain an insight into the workings of German, Italian painters and their style. Matejko’s strong sense of observation and painting style was unique in every sense of the word; hence it comes as no surprise that he achieved international fame and recognition before he even turned 30. He has been hailed by many French art critics ad one of Europe’s top ten artists of historical painting, along with winning the gold medal in Paris, another gold medal in Warsaw and he also received the Ritterkreuz Franz Josef Ordens by the Emperor of Austria. Today art lovers flock to the Jan Matejko House in Krawkow, which is basically the artist’s home where he produced his masterpieces, it is where he lived, worked and died. The Polish authorities have turned it into a museum and it provides in insight into the mind of how Matejko worked and lived.